British defense officials' annoyance comes on the heels of a new report to the US Congress indicating that the $1.5 trillion fifth-gen stealth fighter still has over 100 critical defects which can jeopardize pilot and aircraft safety. 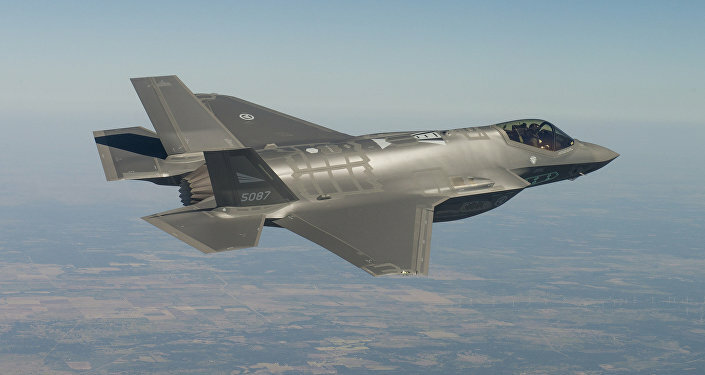 Four F-35 Lightning II fifth-gen fighters, originally expected to arrive at the Royal Air Force Marham airbase in Norfolk on Tuesday, got delayed in South Carolina for a day due to what the defense ministry said were "adverse weather conditions." British military top brass were peeved over pretext for the delay in receiving their new jets. "How pathetic," one defense source told The Times. "It is bonkers…embarrassing," another said. "Not sure why weather should delay an all-weather fighter," the source added. Another unnamed source told the newspaper that the problem was the F-35's lone engine, which would prevent it from cruising to safety if something did go wrong during its trans-Atlantic flight. "This is the problem with single-engined aircraft flying across the Atlantic. For half the price you get twice the engines with [the] Typhoon [fighter], making it safer to fly across open ocean," the source noted. An RAF spokesman defended the delay, emphasizing that that the UK's new F-35s still arrived "ahead of schedule," and could "fly in all weather conditions when they need to." — Royal Air Force (@RoyalAirForce) 6 июня 2018 г. The delay in the delivery may be just as well. A new report by the Congressional Government Accountability Office this week on the state of the F-35 program found some 966 flaws, including over 100 critical defects which can injure or kill pilots or otherwise jeopardize the aircraft's security. According to the report, the F-35 has 111 'Category 1' deficiencies, defined as "those that could jeopardize safety, security, or another critical requirement." The remaining 855 'Category 2' deficiencies are "those that could impede or constrain successful mission accomplishment." The more serious defects include the design of the pilot's helmet-mounted display and the dim green hue it gives off, which "can decrease the pilot's ability to detect visual cues." Other major issues include an ejector seat which can cause neck injuries, faulty oxygen-supply system, and a fragile aerial refueling probe which has suffered repeated failure. 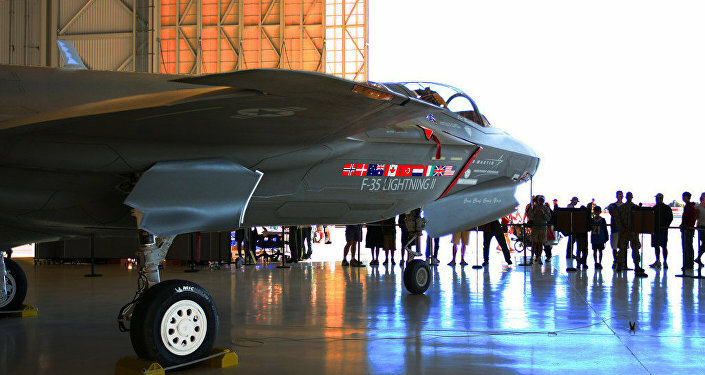 The report notes that the defects, which have piled up ahead of the F-35's expected entry into full-scale production, are the result of the program's "rush to cross the finish line," which have seen the approval of "some decisions that are likely to affect aircraft performance and reliability and maintainability for years to come." The GAO adds that resolving these critical flaws "may contribute to additional concurrency costs," which will impact the fighter's final price tag. The congressional watchdog recommends putting off full-scale production until the critical deficiencies are resolved. Full-scale production of the F-35 is expected to begin in 2019, with a final decision on the matter expected this October. Starting development in 2001, Lockheed Martin's F-35 program is expected to run a jarring $1.5 trillion over its lifetime, making it by far the most expensive piece of military hardware ever created. An estimated 300 planes have already been delivered to the US and its Australian, Israeli, Italian, Japanese, Dutch, Norwegian, South Korean and British allies, with the possible holdup in deliveries to Turkey this month causing a diplomatic scandal between Ankara and Washington.